I've had quite a few people ask me how I'm always traveling (it doesn't feel like I travel that much but I guess it's all relative). 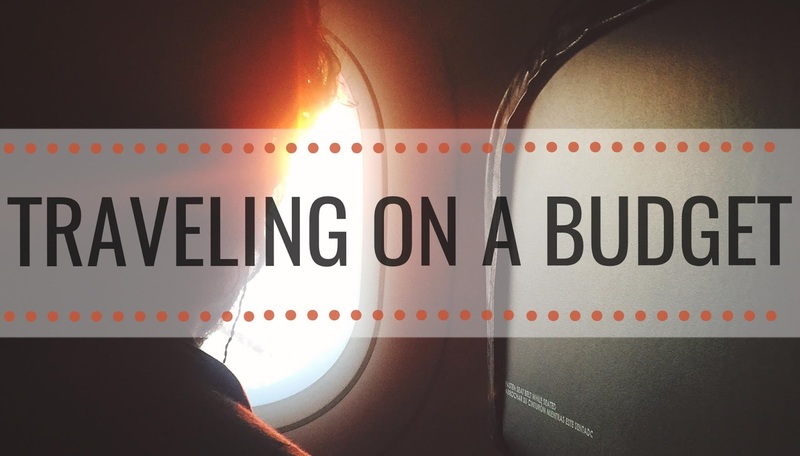 While the answer to that is rather multi-faceted, I thought I'd go ahead and share a few of my tricks for traveling on a biologist budget because NEWS FLASH: biologists aren't typically wealthy individuals...but I do get a lot vacation, which helps. So here I've compiled some of my favorite apps and websites, hope it's helpful! There are really 3 tools I use for this. This is my go to app for finding cheap flights. This is how I flew to Barcelona for $400 round trip! A lot of websites and apps will let you set flight alerts but my favorite feature on Hopper is being able to set alerts for ANYWHERE at ANYTIME. Set trips to "watch" and make sure you turn on the push notifications. This lets you snag the deals! As you can see, I also have specific destinations set for specific times of the year (and for anytime). I have loved ones all over the place and this lets me know when I could go see them for super cheap! This also brings up an important point: FLEXIBILITY IS KEY TO CHEAP TRAVEL. If you have super specific dates, chances are you're going to pay more. I love this website because of their "cheapest month" feature. They also have a handy "explore" map so you can see where the good deals are! 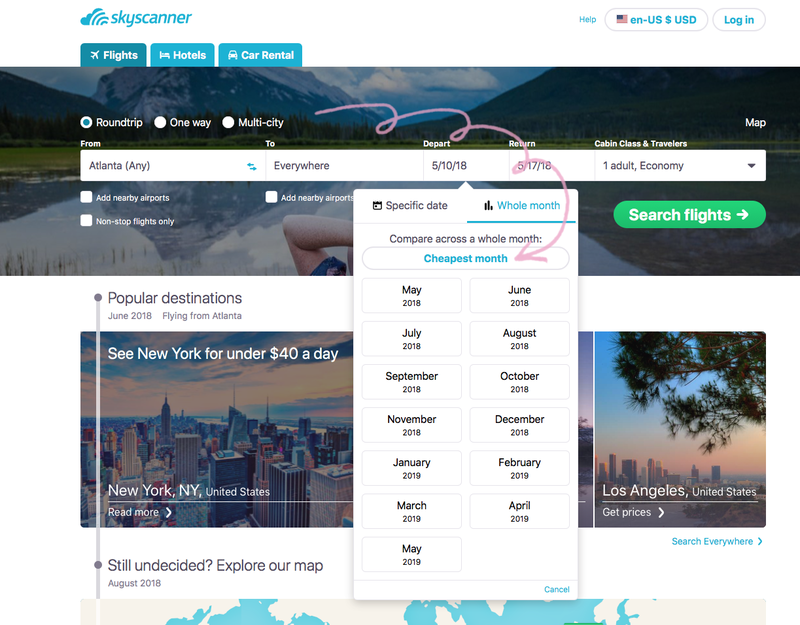 BEWARE crazy long layovers and sketchy airlines because this website will include those options. 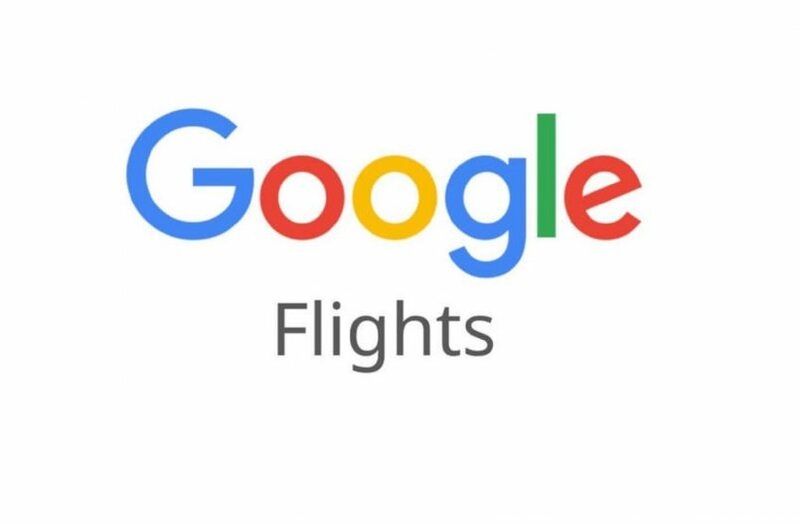 It's no surprise that google has one of the best travel tools. They've got their hands in everything. I use this for looking at price changes around specific dates. For example, you get an alert that there are cheap tickets to Paris in February. 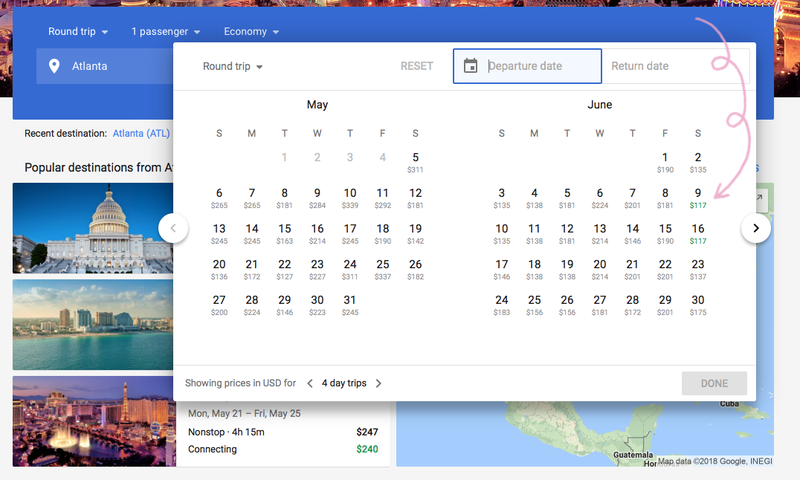 You can then go to google and look at specific dates and see what date you should leave and return to get the best price! 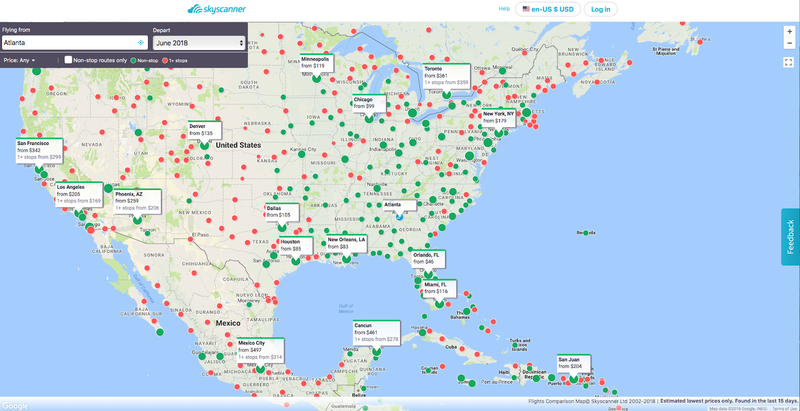 They also have a cool explore map like SkyScanner. 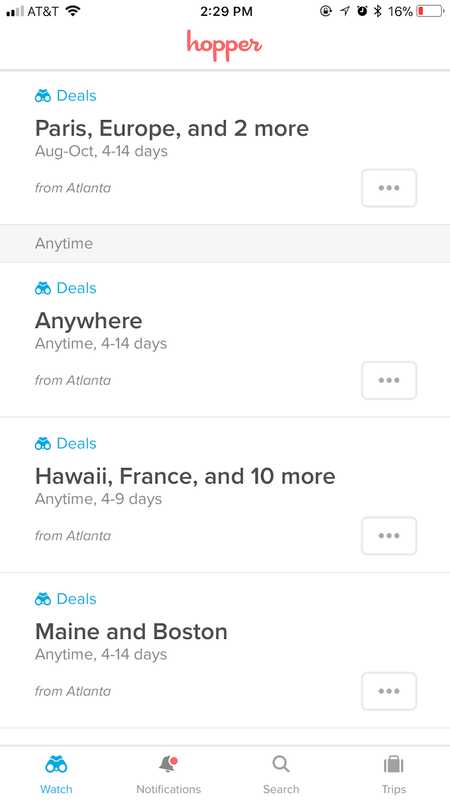 So in a nutshell, that's how I find awesome deals on flights! This one's pretty easy. I use two sites when I'm booking lodging for my trips and I guarantee you've heard of both of them. This is my favorite. I've been using Airbnb for a looooong time and I've really only had one bad experience, and even that was with the host and Airbnb fully refunded me. I've done private places and shared spaces and it all depends on your budget. Set your parameters and do some shopping. It's as simple as that. Make sure you read the reviews and see what people say about the space as well as the location. It's hard to know what the good neighborhoods are when it's somewhere you've never been so again, do your homework! I've only recently started using TripAdvisor. I like it because sometimes you can find cute boutique hotels for the same price as an Airbnb. It's also nice if you want a hotel for the first or last night you're traveling because, honestly, it's easier than figuring out how to get into someones loft in a new city at 11 pm. Again, read the reviews and look at where it's located. How far is it from the airport, etc. Ok. That's it. Simple enough right? That's my tried and true formula for traveling. Let me know if y'all have questions or if you did or didn't find this helpful! I'm really curious!